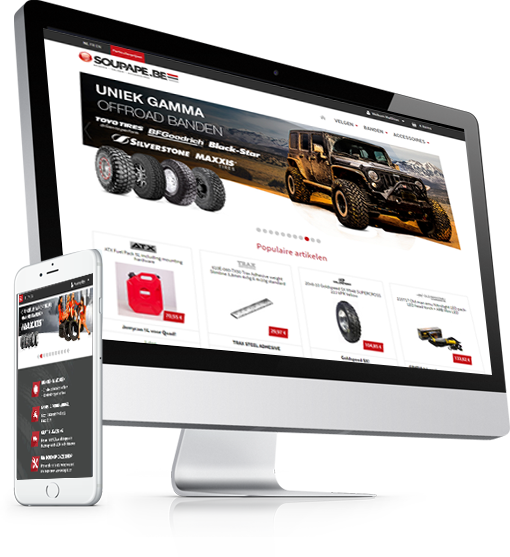 Create your own tyres ecommerce webshop with your own logo prices, pictures and Text. Focus on sales while we take care of your tyre eccommerce! And the best thing is it's FREE! Tyrecloud is a free webshop service that let's you sell tyres and wheels online and you don't need stock! Do not take any risk by stocking up goods that will become obsolete very fast or that have out of market prices. 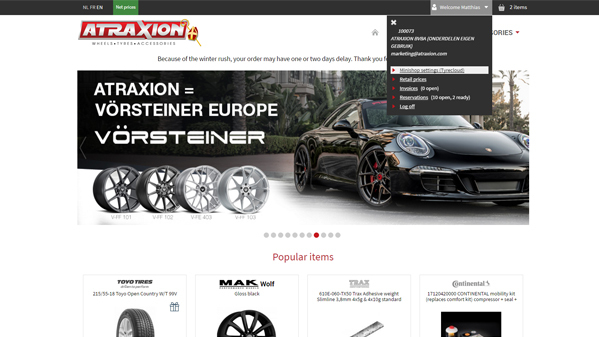 You can offer Atraxion.com ‘s stock consisting of 4 million tires and 250K wheels. Determine your own sales prices without any risk. Determine your own margins and sales prices. You will be notified by email when you have received a new order. Being hosted on the best servers and datacenter, your webshop is always accessible. Your webshop is automatically optimized for SEO, you will always rank high on the search engines. Not convinced yet? Read the feedback given by our users. Great system. I can now focus on mounting tyres and wheels. I direct all my customers to my Tyrecloud webshop and new orders appear automatically in my mailbox. Suivez les instructions et créez votre propre minishop. Do you need help activating your shop?